In their new study, they found teachers had to “redirect” students’ attention half as often after teaching one of their lessons outdoors. The study involved two classes of third graders at a magnet school of predominantly disadvantaged students in Indiana. The researchers found students were far better equipped to focus on a 40-minute lesson taught indoors if it was preceded by a 40-minute lesson taught outdoors, as opposed to two 40-minute indoor lessons taught back to back. The number of “redirects” — defined as the number of times a teacher had to ask a child to sit down, stop talking to friends, or focus on the task at hand — was cut nearly in half (54 percent) after an outdoor lesson. While one of the two teachers worried about losing ten minutes of instruction time walking to and from the outdoor lesson, in the end she found it more than paid off. After the outdoor lesson, the teachers had to redirect a child’s attention, on average, once every 6.5 minutes, compared to the usual once every 3.5 minutes. Cutting the “redirection rate” in half, meant she could teach uninterrupted for twice as long. 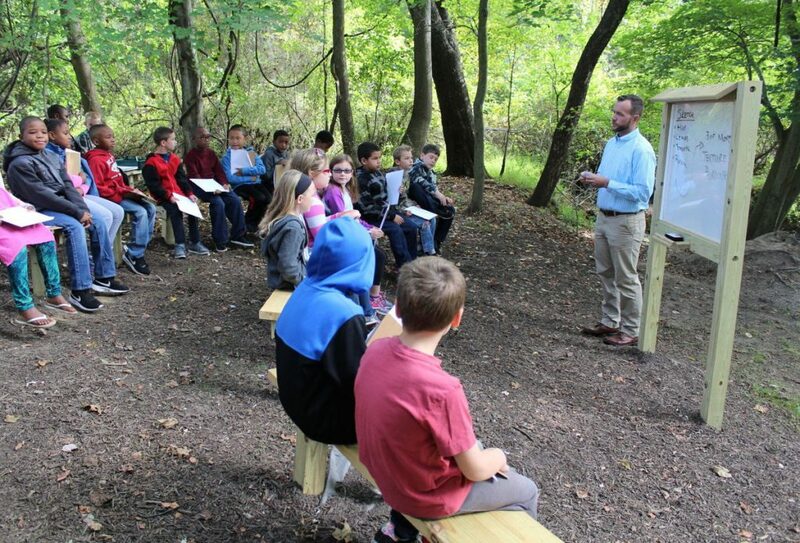 Teaching a lesson in nature may provide many of the same benefits normally accrued through recess, the researchers say. “Lessons taught in nature allow students to simultaneously learn classroom curriculum while rejuvenating their capacity for learning, or to ‘refuel in flight,’” writes lead researcher Dr. Frances (Ming) Kuo. Kuo’s earlier research has shown natural, green environments reduce aggression and ADHD symptoms while promoting academic achievement. According to “attention restoration theory,” natural landscapes soothe and calm our “mental muscle.” After it’s had a moment to rest, our capacity to direct attention is refreshed. 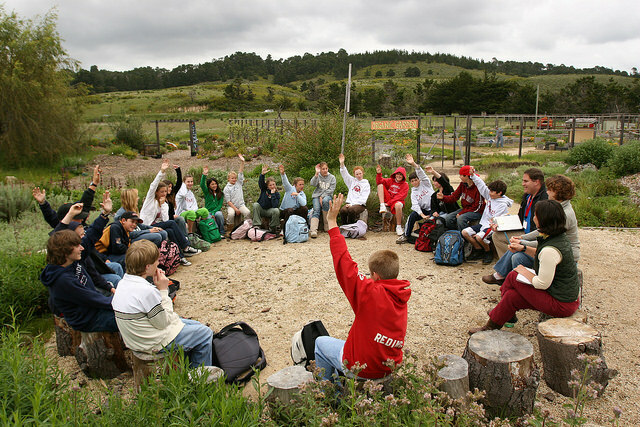 Other studies have shown similar benefits provided by classroom windows with views of greenery (as opposed to barren schoolyards), walks in the forest and walks in relatively green urban settings. Kuo says lessons taught in outdoor settings without vegetation are better than indoor settings, but green outdoor settings have the most benefit. “If a small investment in vegetation outside a school can enable teachers to teach longer periods uninterrupted, it might ultimately translate to greater academic achievement in students and less burnout among teachers,” she said. Kuo and her colleagues think students could benefit greatly from at least two outdoor lessons per day. They’d also like to test the potential benefits of teaching all lessons outdoors, as ‘all-weather’ schools or ‘outdoor schools’ in Europe do.